David Grubbs , 2 May 2017. Augustine of Hippo was one of the Fathers of Western Christianity, a Doctor of the Church. No theologian was more widely revered in medieval Europe, and his thought continues to be foundational in both the Roman Catholic and Protestant traditions. But Augustine wasn’t European, and only half Roman, and his Christianity was as blended as his ethnic heritage. What difference might that cultural and religious blending have made in the life and thought of Augustine? To answer this question, Justo Gonzalez applies an insight from Latin American theology: the concept of the mestizo, one who combines and inhabits two backgrounds. The result is an insightful and fresh analysis of Augustine that anchors the cerebral patristic writer in the gritty, surprisingly familiar realities of the diverse Roman world. 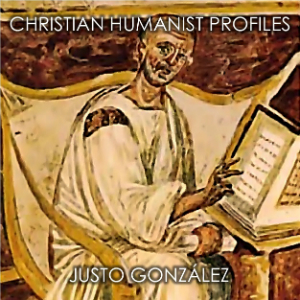 n this episode of Christian Humanist Profiles, David Grubbs interviews Dr. Justo Gonzalez, church historian, historical theologian, and author of The Mestizo Augustine: A Theologian Between Two Cultures (IVP Academic, 2016).